Miserable day today. Cold, raining and windy. Like it was November already. Good day to grump around the house, really. Then I found beautiful swiss chard and leeks at the market. Instant inspiration. 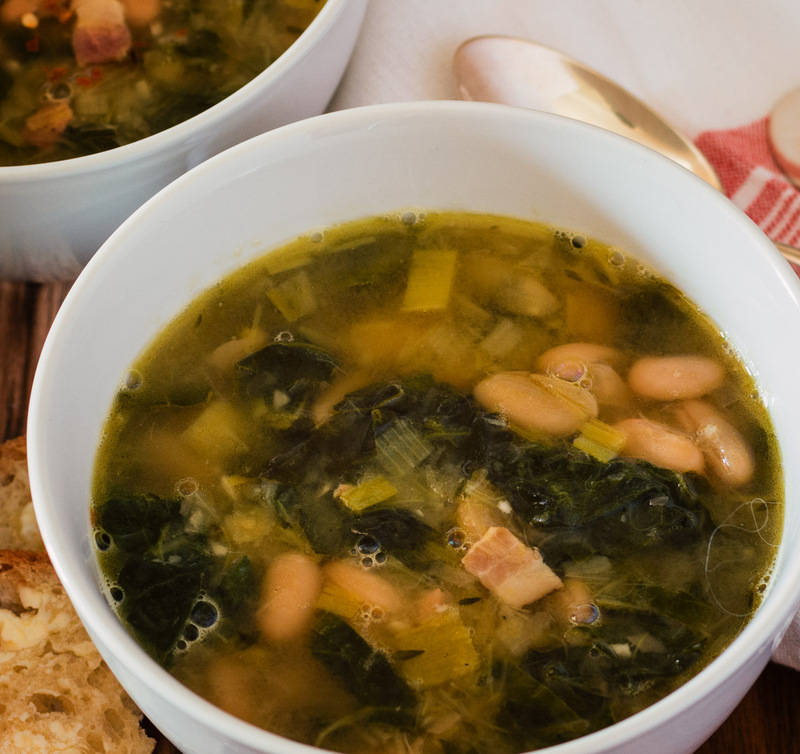 White bean swiss chard soup. 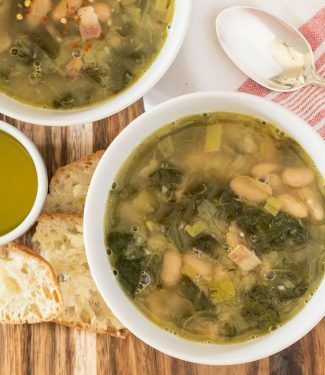 This is an savoury soup, smoky from the bacon and earthy from the beans. 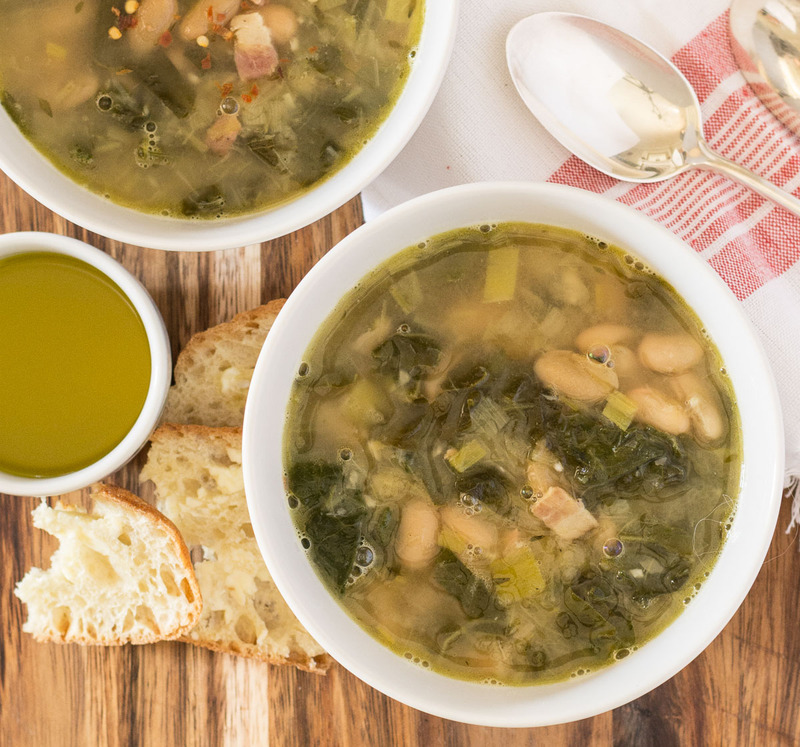 Serve it with a bit of good bread and you have a meal in a bowl. A meal that warms from within. It’s even healthy. 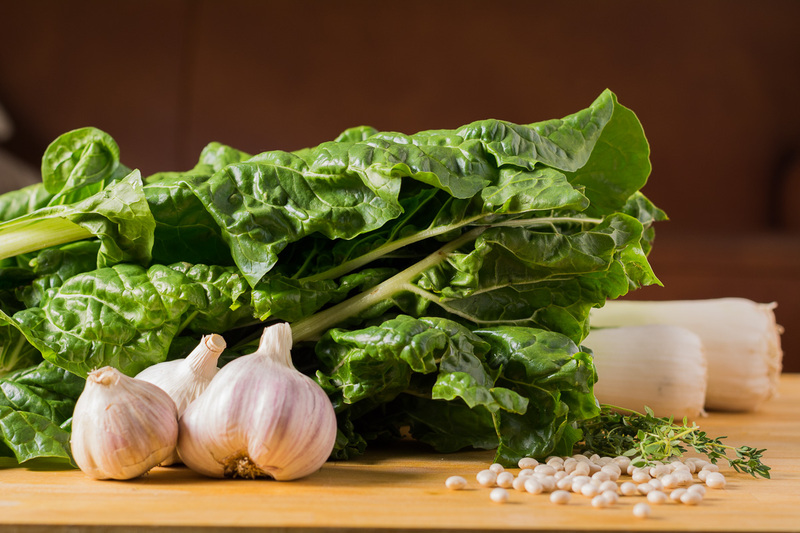 Loaded with legumes and dark greens. And it’s really not that much bacon after all. Add the bacon and cook until beginning to crisp. Now add the leeks and cook over medium low heat until translucent. Add the garlic and cook for another minute. Next, add the stock, fresh thyme, white beans and chili flakes or Calabrian chilies and simmer 30 minutes. Finally add the swiss chard and cook an additional 5 minutes. Add the lemon juice if using. Adjust seasonings. I can't tell you how much salt to add. It depends on how much salt is in your stock and white beans. Soups do take quite a bit of salt so creep up on it, adding a bit at a time, stirring well and tasting until you get to where you want to be. If you overshoot add more stock to bring it down. If you can get your hands on Calabrian chilies they make a great addition. Just replace the crushed chilies with the Calabrian chilies. Juice of about 1/4 lemon brightens this dish up nicely, moving from earthy to a nice fresh flavour. In appetizer, italian, soup. Bookmark the permalink.